Kevin Tierney is a managing director and founder of PKT Consulting Engineers Ltd. He is a graduate of UCC and Trinity College Dublin. 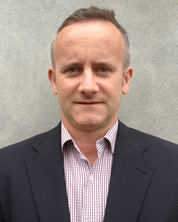 Kevin worked with a number of international Engineering firms in the UK and Ireland prior to founding PKT in 1998. PKT Consulting Engineers have varied experience in the design and supervision of projects ranging from small residential dwellings to large multi-million euro developments. Designs are formulated with value and 'build ability' in mind. Partnerships are promoted with all our clients. Each project is managed from inception right through to completion, ensuring the client’s requirements in terms of quality, time scale and budget targets are realized. Our objective is to deliver a highly cost effective, value engineered solution to your design challenge. Much of the growth in our business over the past number of years has came from referrals and repeat business.